This month: connecting with member care in India. Stay updated with key member care resources for your work in mission/aid. Spread the word—share this Update with your colleagues and networks. 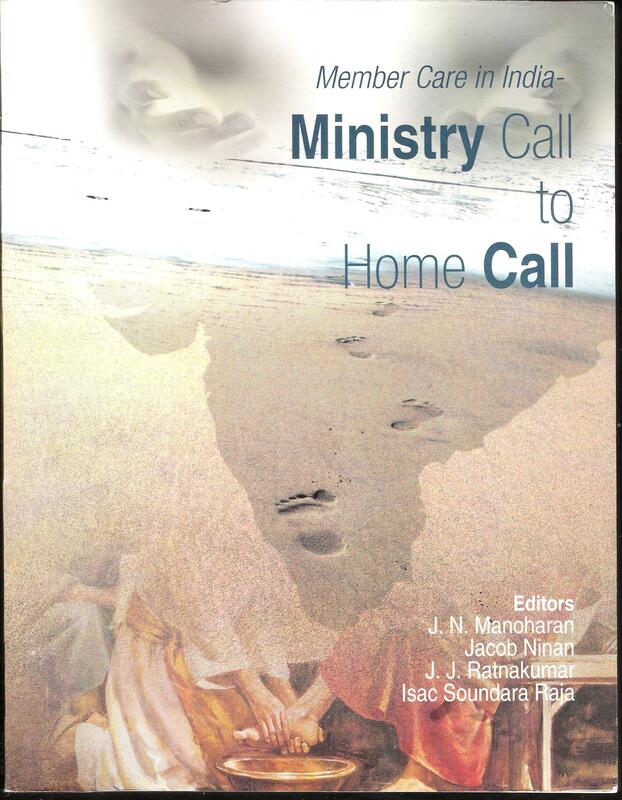 The first set of resources present two books to orient you to member care in the Indian context: Member Care in India: Ministry Call to Home Call (2012) and Marriage Masala: 52 Spices for a Healthy Marriage (2004). The second set of resources highlight the work a large member care organization in India called Missionary Upholders Trust (MUT). There is a feature article form the Chennai-based magazine Christian Manager which overviews MUT's history, values, and programs as well as a short summary of the recent national consultation on member care by MUT in Bangalore.These are of course just a few of the many materials and organizatons related to member care in India today. Chennai, early morining trek to work and school. 16 April 2012. 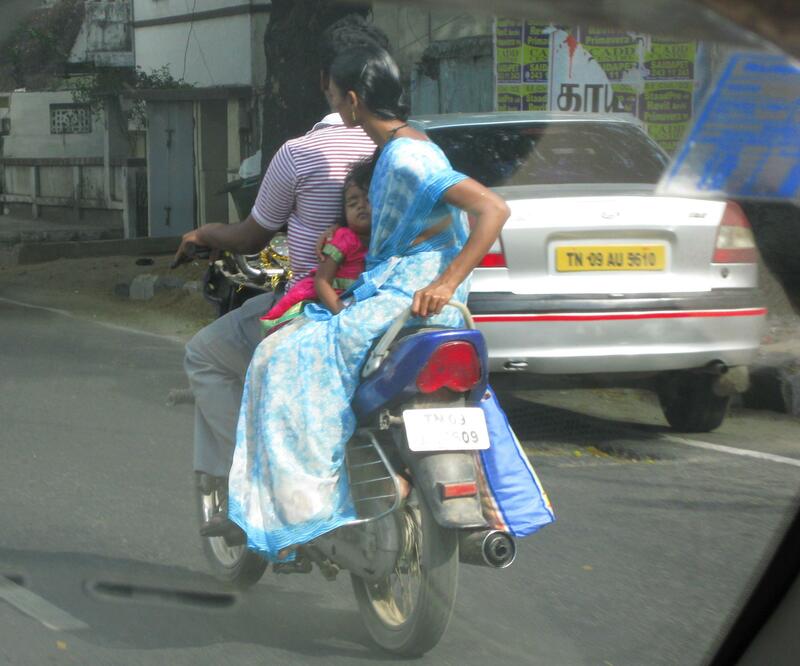 Nothing like a nice sari--and a nice sleep--on a scooter! and incorporating the names of Jesus in several languages. 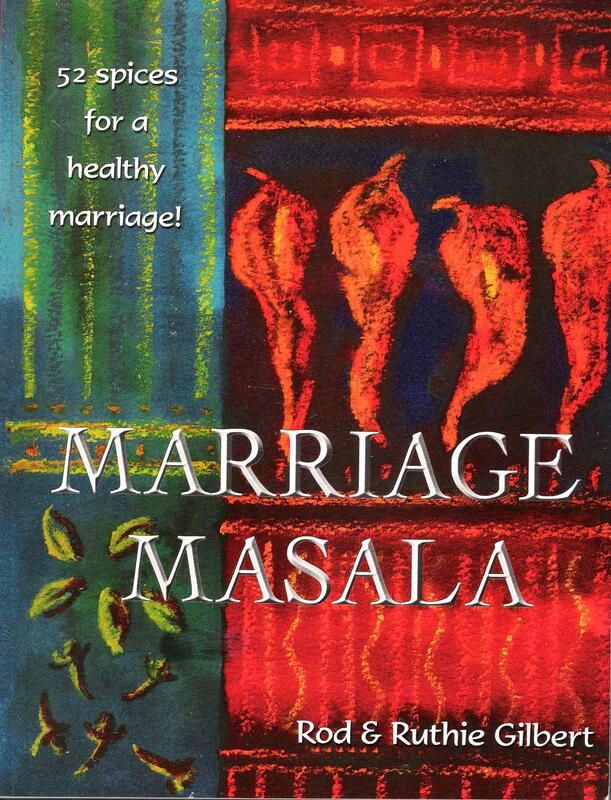 Marriage Masala: 52 Spices for a Healthy Marriage (2004, Rod and Ruthie Gilbert, Scripture Union Family Ministry). This is a book of 52 "spices" (one for every day of the year) for couples to blend into their marriages--to improve and enrich family life, just as they would grind spices into the masalas of their curries to make them tastier. The spices have been collected from the experiences the authors have gained in their marriage of 27 years, from raising five children, and from running a host of seminars at Scripture Union's Family Life Centre in South India and at many other locations. It is filled with practical suggestions, Scriptures, and short examples/stories. Some examples of the spices: commitment, dates, love languages, body space, creative conflict, and love letters to encourage as well as recognizing the the impact of toxic words, danger zones, intruders, and rejection. 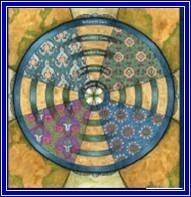 (adapted from the Introduction). To order the book and for more related resources, visit the Marriage Masala website. Christian Manager (CM) is a bimonthly management magazine for managers and leaders belonging to various churches, mission organizations and Christian NGOs in India. It is the only management magazine in South Asia focusing on the managerial and leadership needs of Christian leaders. CM's readership includes 2000 leaders and managers of various churches, Christian NGOs, mission organizations, theological/educational/health care institutions and other kinds of Christian services in South Asia. The June-July 2008 issue of CM features an article on Missionary Upholders Trust. Here is an excerpt from the opening comments. "An estimated 40,000 [now 50,000] missionaries and their family members operate under the umbrella of different mission organizations in India. The sheer number of missionaries and the magnitude of needs in mission organisations have unwittingly created a gap in the care of its members. Some missionaries are fortunate enough to be taken care by the organisations or other sources, but most of them do not have any form of support. With their measly resources, most missionaries are unprepared to meet any eventuality in the course of their daily lives. Barring few exceptions, missionaries have had to fend for themselves in other areas of need. This prompted the birth of Missionary Upholders Trust [in 1993]. Click here to read this article and much more about their work with training, rest houses, retirement and pension help, medical and bereavement care, etc. MUT Consultation on Member Care, South Asia Institute of Advanced Christian Studies (SAIACS), Bangalore, 18-20 April 2012, This consultation brought together mission and church leaders, trainers, and member care specialists to review the recent MUT study on missionary stress and discuss ways to support the wellbeing and effectiveness of these workers. Some of the main areas that were addresses were: depression, finances, children, spiritual life, and health, Click here for a quick overview and photos from the Consultation. Sunrise over the Bay of Bengal. and to guide us in the way of peace. (BBC documentary, posted on Youtube). Copyright © 2012 Member Care Associates, Inc. The resources in these Updates help us as learners-practitioners to cross cultures, disciplines, and sectors for good practice.